In this study, the thermal performance of a small scale shell and tube heat exchanger was performed according to the baffle type by using three dimensional Computational Fluid Dynamics (CFD) method. In numerical calculations, segmental and continuous helical baffle types were selected to get the comparative results. For helical baffle type, we used two different models that the numbers of helical rotations and baffle spacing length were different. Thus, we determined five different numerical models and the thermal performance of each models were evaluated under different inlet temperature values selected as 50, 60 and 70°C for the tube side. The inlet temperature value and the mass flow rate of shell side were kept constant during all the numerical calculations. The heat transfer calculations were achieved by using Logarithmic Mean Temperature Difference (LMTD) method. We also employed the Bell-Delaware method which can be used accurately for shell and tube heat exchangers. The highest thermal performance was determined in Case-IV which had equal baffle spacing and the maximum number of rotations for continuous helical baffle. The predicted total pressure drop results obtained from the numerical calculations were in good agreement with the calculated total pressure drop from Bell-Delaware method. The lowest pressure drop and the highest thermal performance were achieved for continuous helical baffle type compared to the segmental equal spacing baffle type. The numerical simulations based on CFD analysis can provide more information about heat exchangers and this tool can be used to improve both design and the thermal performance of heat exchangers. J.-F. Zhang, Y.-L. He, and W.-Q. Tao, “3D numerical simulation on shell-and-tube heat exchangers with middle-overlapped helical baffles and continuous baffles – Part I: Numerical model and results of whole heat exchanger with middle-overlapped helical baffles,” International Journal of Heat and Mass Transfer, vol. 52, no. 23–24, pp. 5371–5380, Nov. 2009. R.K. Shah, D.P. Sekulic, Fundamentals of heat exchanger design, John Wiley & Sons, Inc., New Jersey, 2003. R. Selbaş, Ö. Kızılkan, and M. Reppich, “A new design approach for shell-and-tube heat exchangers using genetic algorithms from economic point of view,” Chemical Engineering and Processing: Process Intensification, vol. 45, no. 4, pp. 268–275, Apr. 2006. E. Ozden and I. Tari, “Shell side CFD analysis of a small shell-and-tube heat exchanger,” Energy Conversion and Management, vol. 51, no. 5, pp. 1004–1014, May 2010. B. Parikshit, K. R. Spandana, V. Krishna, T. R. Seetharam, and K. N. Seetharamu, “A simple method to calculate shell side fluid pressure drop in a shell and tube heat exchanger,” International Journal of Heat and Mass Transfer, vol. 84, pp. 700–712, May 2015. S. Kakaç, H. Liu, A. Pramuanjaroenkij, Heat exchangers: selection, rating, and thermal design, CRC Press: Florida, 2012. F. Nemati Taher, S. Zeyninejad Movassag, K. Razmi, and R. Tasouji Azar, “Baffle space impact on the performance of helical baffle shell and tube heat exchangers,” Applied Thermal Engineering, vol. 44, pp. 143–149, Nov. 2012. J. Yang, L. Ma, J. Bock, A. M. Jacobi, and W. Liu, “A comparison of four numerical modeling approaches for enhanced shell-and-tube heat exchangers with experimental validation,” Applied Thermal Engineering, vol. 65, no. 1–2, pp. 369–383, Apr. 2014. Q. Wang, G. Chen, Q. Chen, M. Zeng, and D. Zhang, “Numerical Studies of a Novel Combined Multiple Shell-Pass Shell-and-Tube Heat Exchanger With Helical Baffles,” Heat Transfer: Volume 2, 2008. B. Peng, Q. W. Wang, C. Zhang, G. N. Xie, L. Q. Luo, Q. Y. Chen, and M. Zeng, “An Experimental Study of Shell-and-Tube Heat Exchangers With Continuous Helical Baffles,” Journal of Heat Transfer, vol. 129, no. 10, p. 1425, 2007. Y.-G. Lei, Y.-L. 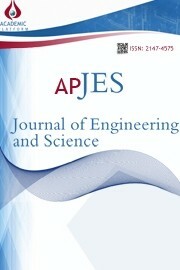 He, R. Li, and Y.-F. Gao, “Effects of baffle inclination angle on flow and heat transfer of a heat exchanger with helical baffles,” Chemical Engineering and Processing: Process Intensification, vol. 47, no. 12, pp. 2336–2345, Nov. 2008. K. Raj and S. Ganne, “Shell side numerical analysis of a shell and tube heat exchanger considering the effects of baffle inclination angle on fluid flow using CFD,” Thermal Science, vol. 16, no. 4, pp. 1165–1174, 2012. X. Xiao, L. Zhang, X. Li, B. Jiang, X. Yang, and Y. Xia, “Numerical investigation of helical baffles heat exchanger with different Prandtl number fluids,” International Journal of Heat and Mass Transfer, vol. 63, pp. 434–444, Aug. 2013. A. S. Ambekar, R. Sivakumar, N. Anantharaman, and M. Vivekenandan, “CFD simulation study of shell and tube heat exchangers with different baffle segment configurations,” Applied Thermal Engineering, vol. 108, pp. 999–1007, Sep. 2016. A. El Maakoul, A. Laknizi, S. Saadeddine, M. El Metoui, A. Zaite, M. Meziane, and A. Ben Abdellah, “Numerical comparison of shell-side performance for shell and tube heat exchangers with trefoil-hole, helical and segmental baffles,” Applied Thermal Engineering, vol. 109, pp. 175–185, Oct. 2016. Z. Ling, Z. He, T. Xu, X. Fang, X. Gao, and Z. Zhang, “Experimental and Numerical Investigation on Non-Newtonian Nanofluids Flowing in Shell Side of Helical Baffled Heat Exchanger Combined with Elliptic Tubes,” Applied Sciences, vol. 7, no. 12, p. 48, Jan. 2017. M. Mellal, R. Benzeguir, D. Sahel, and H. Ameur, “Hydro-thermal shell-side performance evaluation of a shell and tube heat exchanger under different baffle arrangement and orientation,” International Journal of Thermal Sciences, vol. 121, pp. 138–149, Nov. 2017. H. Bayram and G. Sevilgen, “Numerical Investigation of the Effect of Variable Baffle Spacing on the Thermal Performance of a Shell and Tube Heat Exchanger,” Energies, vol. 10, no. 12, p. 1156, Aug. 2017. TEMA, Standards of the tubular exchanger manufacturers association, Tubular Exchanger Manufacturers Association Inc., New York, 1999.